A potential rally in the first inning was prematurely ended for the New York Mets on Wednesday after it was discovered they had batted out of order due to a discrepancy in the lineup cards. The Mets eventually would lose the game 2-1 to the Cincinnati Reds in 10 innings. Manager Mickey Callaway after the game called the incident frustrating and that it likely cost his team the game as they had a chance during the first inning to score and did not. The second out of the first inning was made by Wilmer Flores, who struck out, and Asdrubal Cabrera followed with a ground-rule double to left field. At that point, Reds manager Jim Riggleman came out of the dugout to speak to Gabe Morales the plate umpire. Riggleman was holding his lineup card while speaking to Morales. Following a brief discussion, Morales ruled that Jay Bruce, the Mets’ next batter in the lineup was automatically out putting an end to the first inning for New York. Bruce was listed officially as out 2-unassisted, while Cabrera did not get credit for his double. The lineup posted on the Mets’ dugout wall had Flores batting second and Cabrera third. However, in the lineup card filled in and presented to the umpires, Cabrera batted second and Flores third. Callaway said that the lineup he intended to start the game with was the one he presented to umpires when meeting at home plate prior to the start of the game. The other one, which was inputted into a team computer, was incorrect. Callaway did not say what had caused the mistake. Callaway said that he knew as soon as the Reds made the complaint that his team had batted out of order. Red manager Riggleman said he felt bad knowing it was a mistake that could have easily happened to anyone. Almost a decade ago, the same thing happened at Shea Stadium in New York, but to the Reds when playing the Mets. 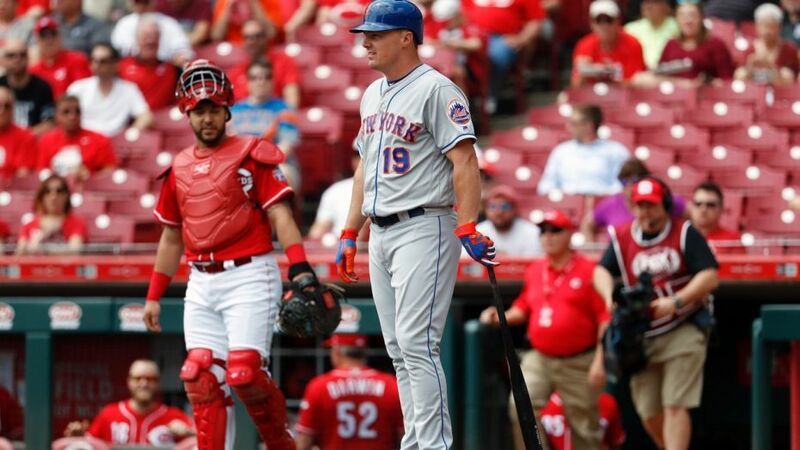 In the ninth inning of a game on May 11, 2008, the Reds batted out of order against the Mets during the ninth inning following a double switch. The Reds eventually lost that game 8-3. The last team that batted out of order was the Milwaukee Brewers on July 4, 2016 during the first inning of a game against the Washington Nationals.